Considering a daith piercing? Read on to find out everything you could ever need to know about this popular piercing! 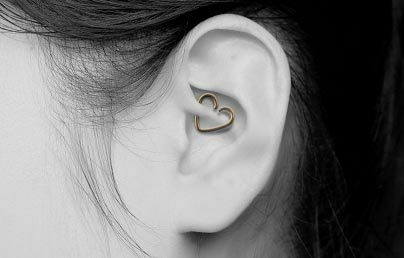 By far one of the most popular piercings in recent years, the daith piercing is a non-traditional cartilage piercing, nestled in the folds of inner ear cartilage. The invention of this piercing is credited to legendary piercer Erik Dakota in 1992 and has since exploded in popularity, accounting for around 13% of all piercings performed in the US in 2015. Here at Blue Banana, we (On average) perform over 150 daith piercings a week, making it one of our best selling piercings of the moment! In recent months there has been a huge focus on whether the daith piercing can alleviate migraines and headaches. There is plenty of anecdotal evidence from customers which support this theory with many accounts of migraines being far less frequent or intense. Whilst the idea of daith piercings helping with migraines is still based on customer reviews and has not been fully scientifically tested, there is a very plausible medical explanation; this speculation is based upon the use of acupuncture, where fine needles are passed through certain pressure points on the body to aid with medical conditions. One of the pressure points for the head is actually in the exact area where a daith piercing is placed. Even though there is still limited evidence that this piercing could actually help sufferers, with such a large amount of anecdotal evidence supporting them, many people think it is simply worth trying and enjoy the aesthetic effect of such an attractive piercing. The daith piercing is placed at the root of the helix, using a curved needle to pass through the ear's innermost fold of cartilage to rest in the shell of the ear. Unfortunately, not everyone can have a daith piercing, as you must have well developed cartilage in order to achieve a piercing with adequate depth. This piercing can be slightly tricky to place correctly, so it's advisable to visit a piercer with plenty of experience in performing this particular piercing! Most people report that the daith piercing is around a 5/10 on the pain scale, comparable with a nostril piercing. It's worth bearing in mind that everyone experiences pain differently, so this 'pain rating' is purely anecdotal. Some throbbing, swelling and bleeding is to be expected following a daith piercing, though if you experience any abnormal levels of pain or discomfort, it's important to seek medical attention immediately. This piercing typically takes around 3-9 months to fully heal. It's important to maintain good standards of hygiene and a stringent aftercare routine to avoid infection. Cleaning the piercing twice a day using a salt water solution and cotton balls or swabs will help to keep the area clean and free from fluid build up. Whilst other cartilage piercings can often be troublesome to heal due to their exposed positioning on the ear, daith piercings are well protected by the surrounding anatomy of the ear, due to their almost concealed placement. This location affords the piercing a greater level of protection from accidental knocks, snags and sleeping related mishaps! The daith piercing can accommodate a wide variety of jewellery, due to it's unique inner ear placement. Typically, 1.2mm/16 gauge jewellery is used in the piercing process, though smaller or larger jewellery can be worn once the piercing has fully healed. 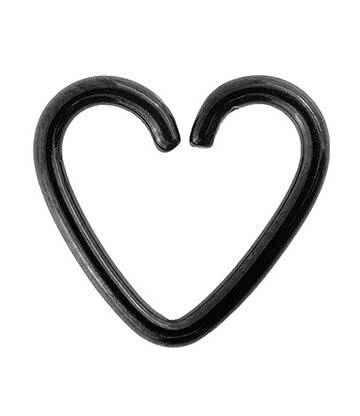 If you plan to wear jewellery of a larger gauge, we recommend discussing this prior to getting the piercing, or paying a visit to your piercer (Once you've fully healed) to ensure your piercing can accommodate some stretching and that your anatomy is suitable prior to changing your jewellery. Article Disclaimer: The information contained here within is based on our experience as one of the UK’s largest piercing chains. Please note that each individual’s experiences will be subjective and therefore each person will have a different experience of pain, healing and maintenance. For more information, please view our article guides terms and conditions page.